If you’re new, you can learn more here. One of the best parts of this community is the opportunity to meet new bloggers, build relationships with long-time friends, and lift one another up. After you share your own post using the link-up button at the bottom of this post, be sure to visit your neighbor’s blog to leave an encouraging comment! 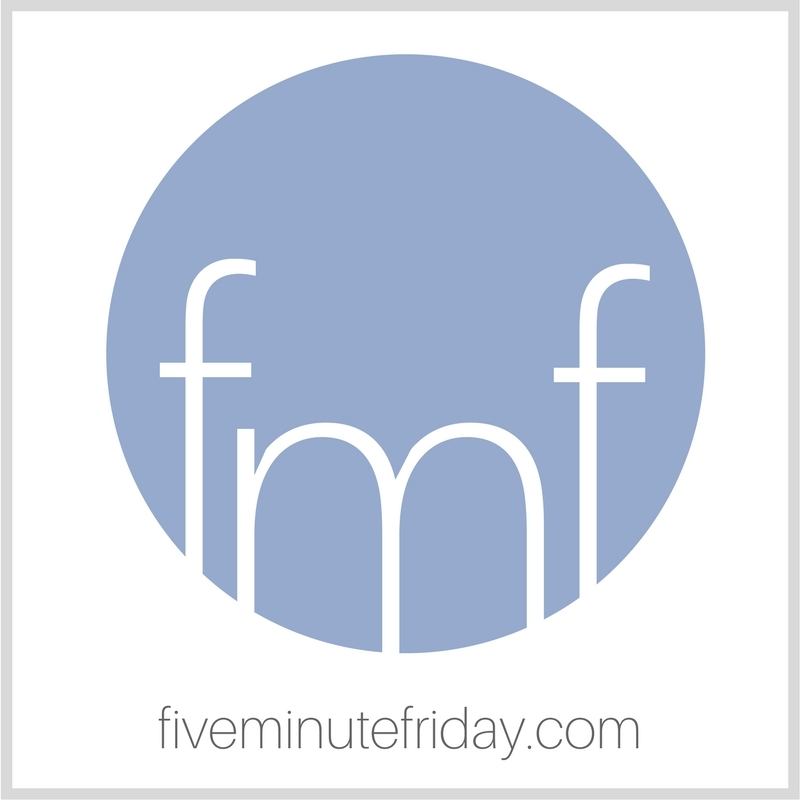 Join the @5minutefriday as we write for five minutes on the prompt, INTENTIONAL. Ready, set . . . GO. I know it’s the third week I’ve been writing about this, but I’m still stuck on the weight and wonder of a new year spread wide open before me. I see so many possibilities, so many things I want to do and accomplish and achieve. But the days whoosh past and it feels as if the hours are slipping through my fingers like grains of sand on a windy beach day. I’m quickly realizing that I can either stand here and feel the wind whip my hair across my face, or I can be intentional about making the most of the grains of sand left in my hand. Instead of letting the flurry of activity and tasks overwhelm or paralyze me, I need a plan of action. And of course it won’t play out exactly as I hope (or maybe not even close to that), but unless I’m intentional about dedicating time to certain projects and people, the days and weeks and months will pass right on by, and I may have very little to show for it. If I want to have a quiet time in the Word, I have to be intentional. It doesn’t just happen. If I want to talk and really listen to my kids, I have to be intentional. I can easily nod and “mm-hmm” without really paying attention to what they’re saying or why. If I want to grow in my writing life, I have to be intentional. I won’t improve without work. If I want to build relationships at church, I have to be intentional. And no, I can’t do it all — but that’s part of the point, right? We need to pray and ask the Lord for discernment regarding where He would have us to spend our time, energy, and gifts to His glory. So true, and true also for faith, hope an charity. They need intention or they are dust on the winds of emotion. Kate, such good words. If we want to see things happen, to see change occur, we must be intentional about seeing it through. Loved your words here! Thank you! You are speaking to my heart this morning. It’s time to get going! So glad you chose Intentional again this week Kate. “I’m quickly realizing that I can either stand here and feel the wind whip my hair across my face, or I can be intentional about making the most of the grains of sand left in my hand.” I LOVE that!! So very true. That’s hitting me hard this year. Love this too! I was thinking that so often I will bemoan the times gone by and while doing that more time is going by. Time to be. Time to act. Love this take on being intentional! Great post Kate! I’m with ya, Kate. Truly. The pause-and-pray. So often I forget to ask Him what He wants me to do. I just say “yes” out of guilt or fear. Then I end up resenting people. And then the Holy Spirit says, “Well, I didn’t want you to do that in the first place.” Good reminder! Exactly this! We can’t do it all and do it well. It’s taken me a long time to learn how to listen to my kids. I actually learned that lesson by observing my grandmother with my son (his great-grandmother). She didn’t know a thing about Pokemon, but you could feel that she was truly interested in learning all about them. Kids know when we’re listening and when we’re distracted. I don’t want them to think that texts, emails, or social media is more important to me than they are.